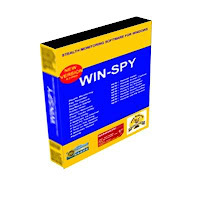 Browse » Home » Others » Win A Free Copy Of Winspy Keylogger !!! Win A Free Copy Of Winspy Keylogger !!! Do one of the above things and leave a comment Here (must) so that we can validate you, The more you do more the chances of winning the Contest , The Contest will end on the 21st of November and the Winners will be announced by 23 of November. Tell your friends about this contest so they can try their luck! Best of Luck !!!! I have joined ur mailing list !! I subscribed u as said !! !!! Love your blog, keep up the awesome work!